Many of us spend a lot of time in email, so to make things easier you can now send and receive SMS text messages via email. Incoming text & picture messages get forwarded to your email, and you can reply to the SMS just by replying to the email. If you turn this feature on, you'll still be able to send and reply to messages in the MightyText Web App, Chrome Extension, Desktop App, or Tablet App as you normally would today. You can also turn off SMS↔Email sync anytime with one click. 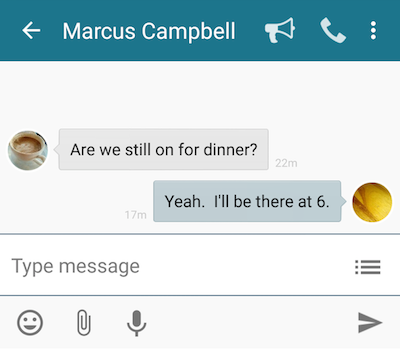 3) You should be able to see your text message reply on MightyText, as well as on your phone's SMS app. 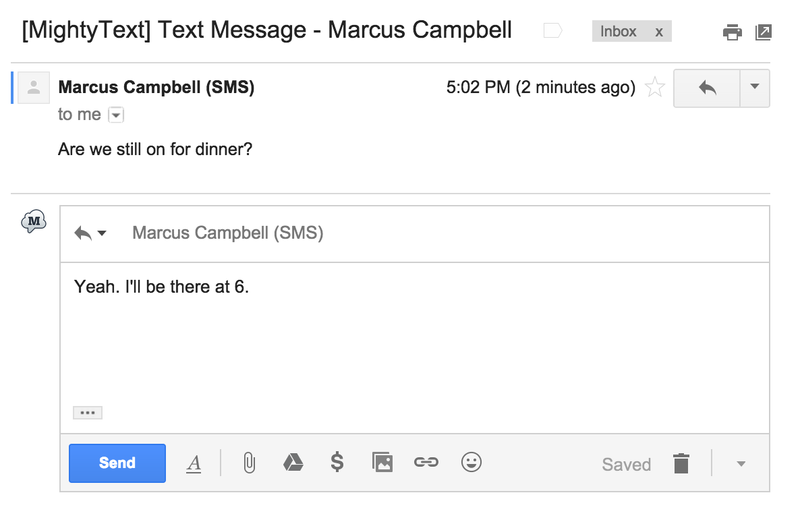 Additionally, MightyText can sync all text messages you send (from phone or MightyText app) to your email. This is turned off by default, but can be enabled in the WebApp or Tablet App settings pane (see Step 1 above).